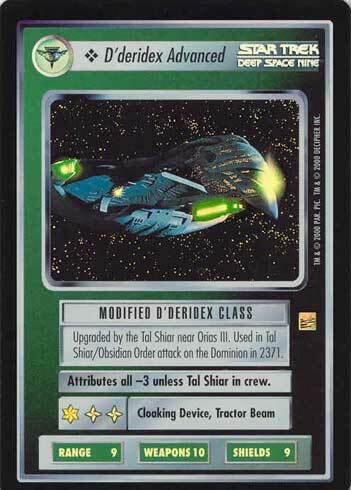 Upgraded by the Tal Shiar near Orias III. Used in Tal Shiar/Obsidian Order attack of the Dominion 2371. Attributes all -3 unless Tal Shiar in crew.